This article, and half hour 3-part video, is from an interview with historian Flint Carter with KVOA-TV's Tyler Wing in Tucson, Arizona and broadcast through YouTube on February 4, 2010. 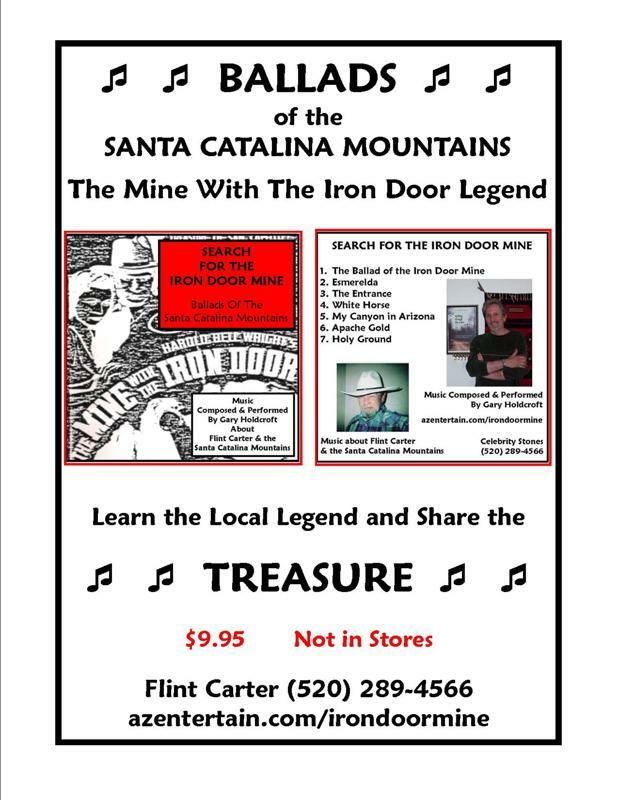 To find out more about the Iron Door Mine legend, southwest legends, gem stones like the Cody Stone and artifacts of the Old West, call Flint Carter directly at 520-289-4566. A Tucsonan who believes his land may be home to a Spanish Mission from the 1700's hopes to preserve the history left behind. He came to Arizona almost 40 years ago to live a secluded life at the base of the Santa Catalina's. Over those years 62-year-old Flint Carter believes the land where he lives north of Saddle Brook is a gold mine of history. "These were all plows," says Carter showing off his collection of rounded rocks. "This whole area was farmed. " An old miner's saying defines the definition of a gold mine as a liar standing next to a hole in the ground. "Now everybody looks at me like I'm that liar standing next to a hole in the ground," says Carter. Carter is the lone tenant on the land and lives in an old cowboy house built in the 19th century. Like an archeologist, Carter dug a hole smack dab in the middle of the living room, "We think that might be the bottom of a ceremonial Mayan pit house. I stopped when I hit bones. I was afraid it might be the padre." Carter says a state historic preservation officer assessed the foundation, "He said this first layer bricks is Costa Mesa and the next layer is Kayenta and that the foundation should be fourteen hundred years old." He says this must be where a lost Spanish mission was later built, "We got a map that shows that in 1769 this was mission Santa Catalina." Legendary movie stars and historical figures are said to have passed through, "Buffalo Bill was here many times. George 'Stone' Wilson and he were friends." A film maker recently cast Carter in a Buffalo Bill documentary, "History says that Buffalo Bill Cody lost a fortune and I was the only one in this documentary that says no he didn't, he made a fortune." Carter's dream is to preserve this area and keep its history alive, "I'd give it all away if I knew somebody could continue what I started. Those eight file cabinets are almost forty years of work." The surrounding land is private property and neighbors say that Carter's tales of gold in "them thar hills" brings trespassers. While sifting through debris, Carter says he'll continue his quest to preserve the land's history, one small artifact at a time, "It does pay off because I always find stuff. See there's part of a bone." Return to Iron Door Mine Index. © 2005-2011 Entertainment Magazine. EMOL.org. / AZentertain.com. All rights reserved. Explore displays of over 1,000 Old West artifacts and specimens from the surrounding area with Flint Carter Mine for gems and learn about Western legends. 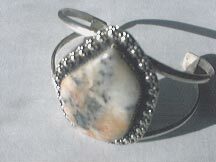 Call Fint at 520-289-4566. Mention the Iron Door web site. Movie Poster from the 1936 film The Mine with the Iron Door - Movie Poster - 11 x 17 Poster for the Mine with the Iron Door movie. Stars Richard Arlen, Ceclia Parker and Henry B. Walthall. Poster measures approx. 11 x 17. Rolled and shipped in a sturdy tube. This poster is from The Mine with the Iron Door (1936).